No activity can be more relaxing than hanging out with friends in nature. My favorite place to watch the serenity of the sky I found on the outskirts of the city during my highway rides. 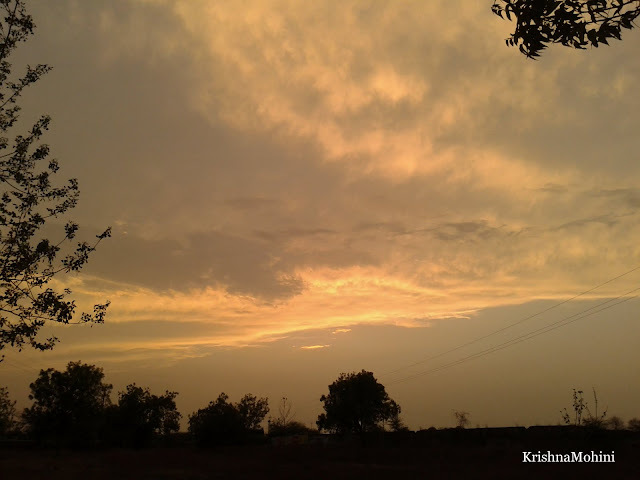 A byway into the Surat-Kolkata national highway at the junction where it crosses Dhule, forms perfect environs to watch the splendor of the sunsets live. I would love to visit this place almost every evening till few years back. Each of them sang a new song for me, told a new story. This evening was the rare golden. 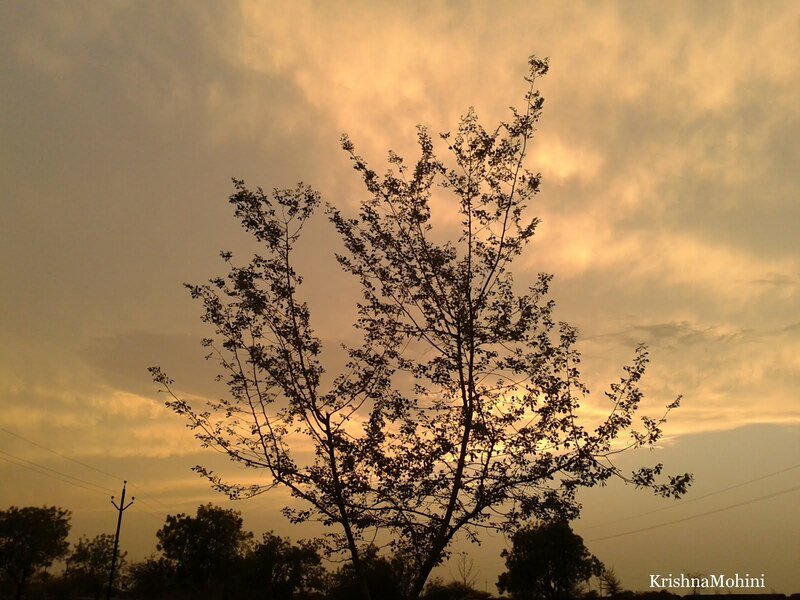 The sky was radiating its goldenness through its enchanting hues. I was storing the peace in my heart as a medicine to cope with the reality of my life's restrictions. The serenity, though not a measurable quantity, it's the life-force for my writing, breathing, and living. Two of my friends must have felt disappointed upon watching how I was busy with my photography ignoring them. They joined in the photo-shoot with their candid emotions of little frown on their leaves. Needless to reintroduce my tree-friends. You must have met them in my poems often. Look at the candid emotions of leaves at the top right corner and the branches on the left. Realizing my mistake when I moved back to click them, look how happily one of them posed for the photo shoot like a professional model. trees are friends of everyone of us. Mother Nature has always been with us. It's just that we have forgotten to connect with her. Plant a tree today and meet a forever friend. Reconnect with Mother Nature.